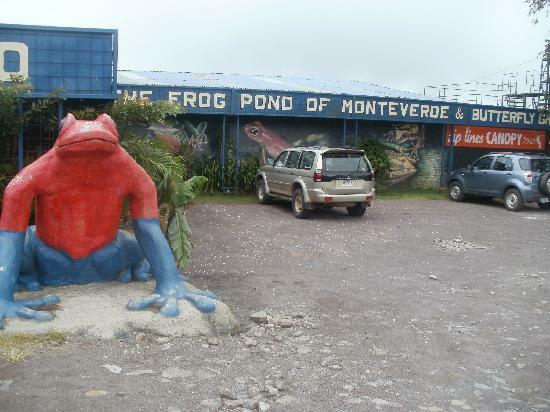 The Frog Pond or Ranario located in Monteverde Costa Rica is a great place to visit at night. This herpetarium with over 20 species of frogs and other amphibians allows visitors to appreciate the beauty of the areas amphibians and to learn about their role in the natural world. 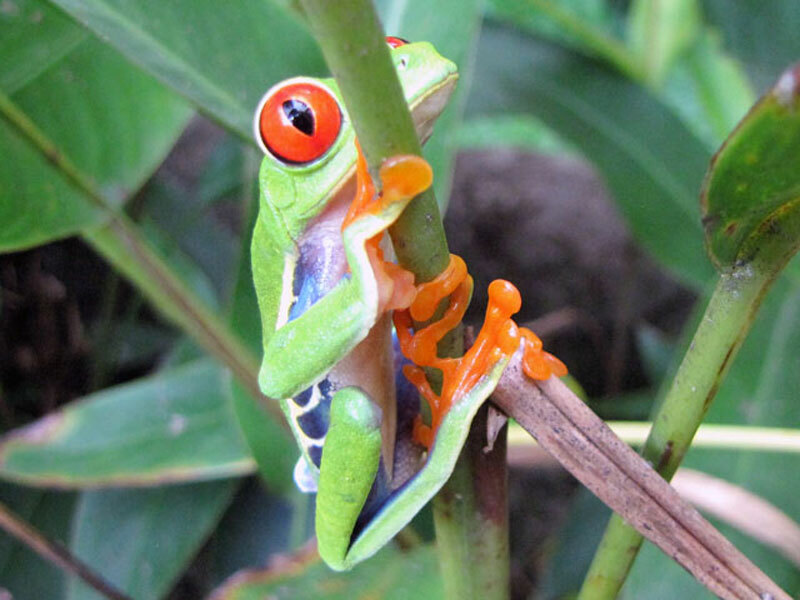 Some of the species include the large Marine Toad, the colorful Poison Arrow Frog and the famous Red Eyed Tree Frog. 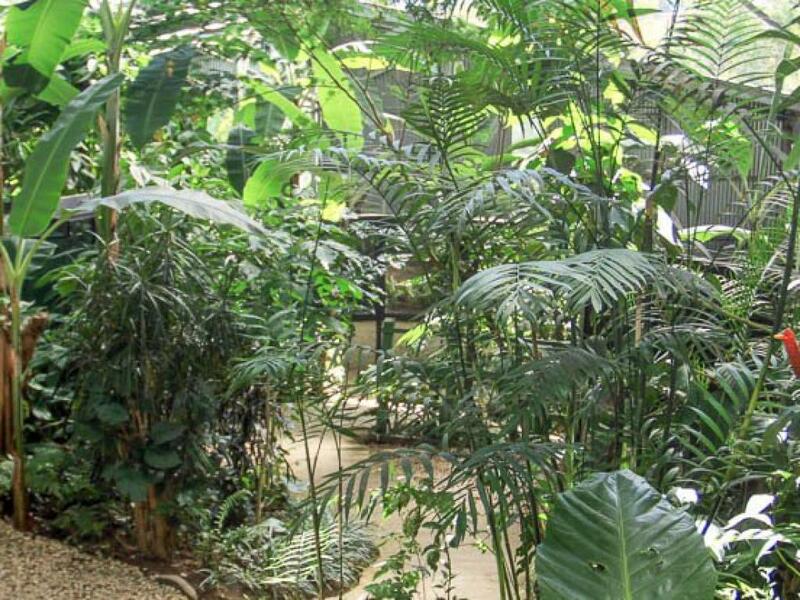 Visitors receive an informative guided tour of the terrariums with their entrance fee. Frogs and toads are undergoing a massive global decline. Part of the proceeds from ticket sale goes to conservation and research efforts. Part of the goal is to educate and inspire others to take an interest in the conservation of amphibious life and nature in general. Also on the location is a gift shop offering many frog related souvenirs. It is best to visit after dark as the frogs are more active and you can hear their calls. A hibernating frog needs so little oxygen that it breathes through its skin- this process is called cutaneous gas exchange. During extensive periods of heat or drought, frogs can enter a period of dormancy similar to hibernation called estivation. The word amphibian means double life--many species spend part of their life in aquatic (water) and terrestrial (land) environments. Because their skin lacks a shell, scales or outer drier covering, most amphibians live in wet or damp situations to prevent dehydration. Are you in Costa Rica? First Name: Your name is required. Last Name: Your last name is required too. Email address: Please check that your email is right. Confirm Email address: This should match the email field.